We have a very small number of tickets available for members of the public to attend the tutors’ concert, as part of the WCCP Concertina Weekend. Please book in advance, as the event will be very busy. 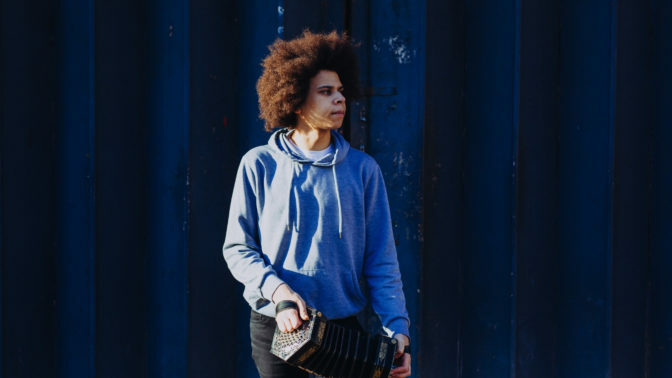 New kid on the block COHEN BRAITHWAITE-KILCOYNE is a fine singer and player of the anglo concertina and melodeon, whose skill and experience belie his tender years. Nominated for a BBC Radio 2 Young Folk Award in 2014 as a member of trio Granny’s Attic, Cohen received a nomination in his own right in the coveted Horizon Award category in 2018. Cohen has a style and approach deeply rooted in the traditions of the British Isles and regularly gives tuition linked to traditional music, both on a one-on-one basis and in group workshops.